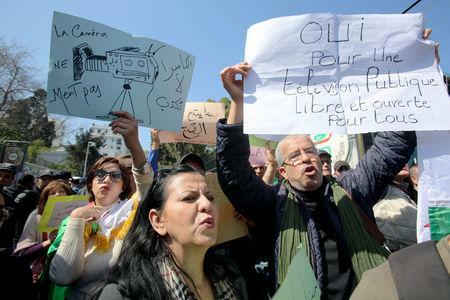 ALGIERS (Reuters) - Algerian President Abdelaziz Bouteflika, facing mass protests against his 20-year rule, sacked the head of the state television, private Ennahar TV channel reported on Monday. "For a public television free and open for all," read one banner held up at the protest. 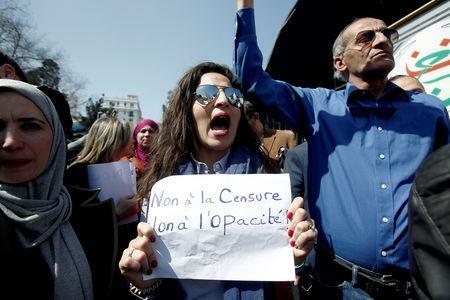 State media has started covering the protests after initially ignoring them. 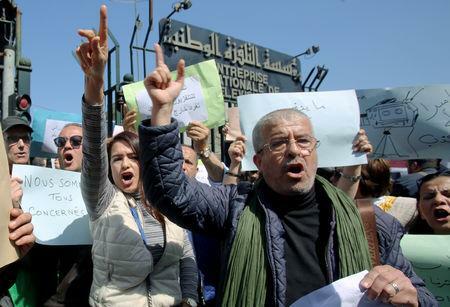 Khelladi is close to Bouteflika's brother Said, a presidential advisor and major political player whose name has been shouted in slogans by protesters alongside Bouteflika's.